Although you’d never know it by looking at me, I am one half Dutch. My tan and coloring are courtesy of my other half, Native American. My mother and grandmother are full dutch and of the many important things they’ve taught me over the course of my lifetime, one of those things is that we Dutch have quite the sweet tooth and the means to satisfy it with some of our delicious recipes! One of my favorite times of the year to be Dutch is December, for our delicious Christmas and New Years traditions. I’ll start with Christmas and Jan Hagel! (Pronounced “Yawn Ha-Hul”) Even the sound of it makes my mouth water a little bit! It’s an incredibly delicious cookie that we bake this time of year and I always seem to forget just how much I love it until that first bite. 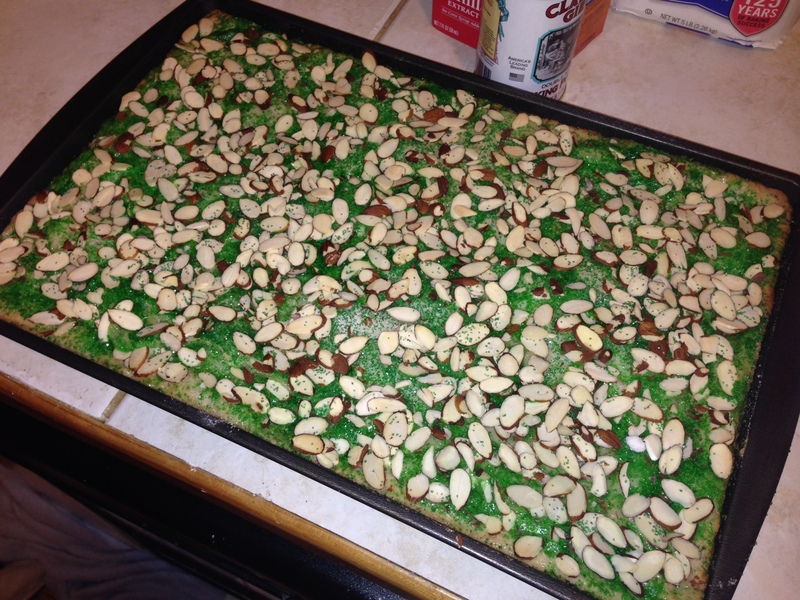 These are photos of the batch I baked this year at my apartment (before slicing them into small bars). 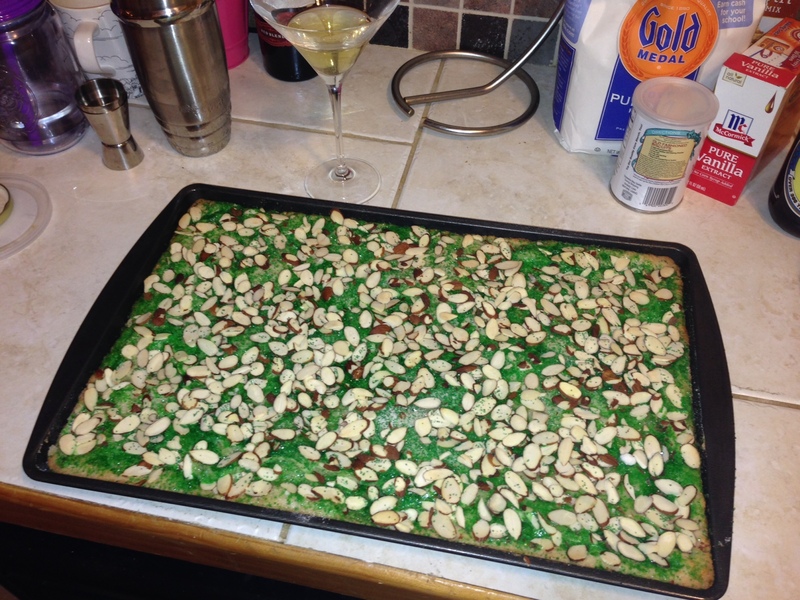 And yes, as you’ll see in the second photo, I enjoy sipping on a gimlet while I bake and listen to Christmas music! And after Christmas comes NEW YEARS! 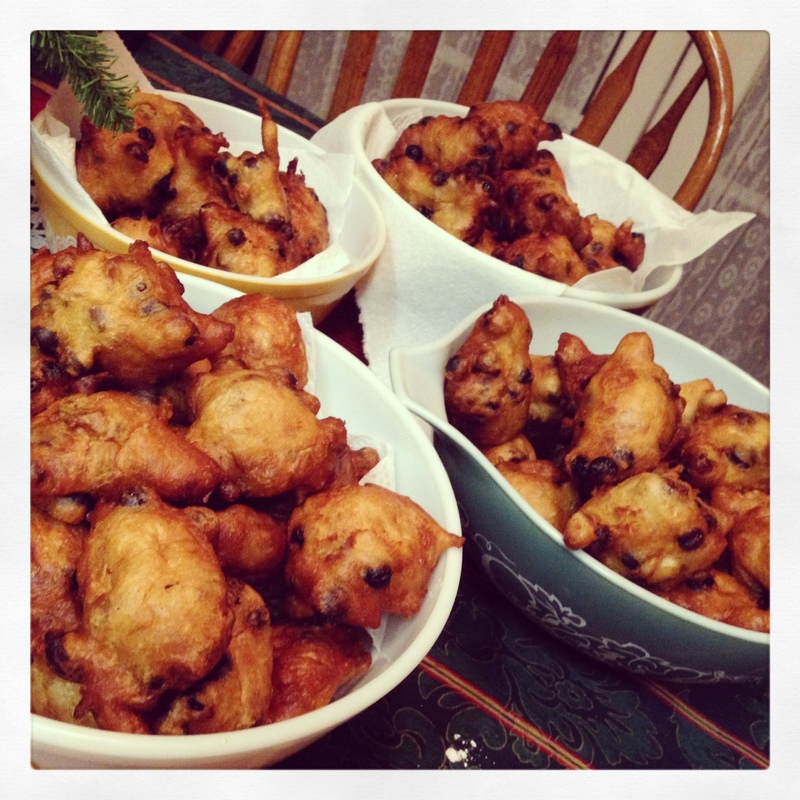 The Dutch have a fantastic New Years Tradition – it’s called Olliebollen and it takes like heaven in your mouth! 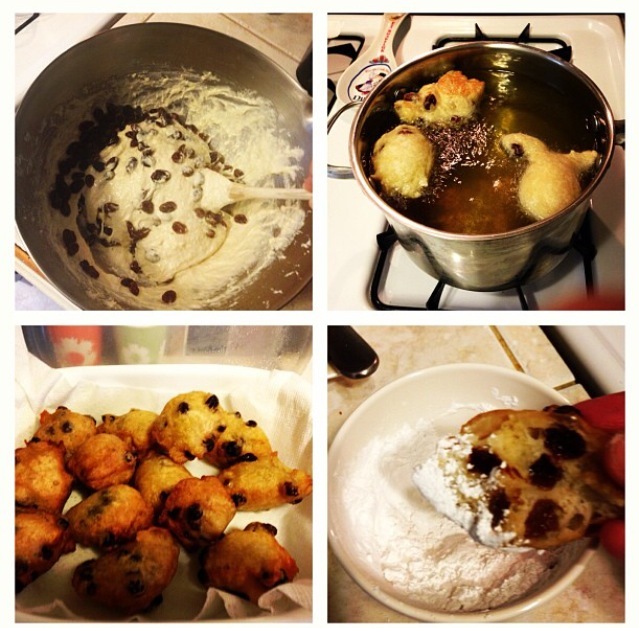 If I had to reduce said magic to the nuts and bolts, Olliebollen is dough that you make with raisins and deep fry then serve with powdered sugar. It’s ridiculously good, but not the best for your waistline so it is only made once a year, at New Years. This photo is from the batch I made at my apartment last year, and does a good job illustrating the full baking process. This year I made them with my mom at my Oma’s house. Oma is the Olliebollen queen, but at 92 years young this year, we thought we’d let her hang up her wooden spoons and retire after what is probably 80 plus years of making them, and she passed the baton to us. It was a fun and special experience, bonding with mom over this family tradition, while the pro (Oma) supervised our every move making sure we were doing it right! haha! Followed by the Olliebollen Master herself trying and (more importantly) loving our finished product! (Big sigh of relief!) It was a Success!! And a great day I will remember every time I make these in the future. Below is a photo of some of the ones we made at Oma’s house this year. Sooooo delicious! Now I just have to wait 12 more months to taste them again!